It’s been a while. What happened? I can’t believe it’s been a year since I last posted a blog. What happened? I became a scuba instructor... I did my IE on Nov 9, 2008 on my 200th dive at Dutch Spring and this is the last entry in my dive logbook... and last month, I logged my 350th dive in Monterey Bay. During the last 12 months, I’ve managed to fun dive in the Exuma Cays on the Aquacat liveaboard, drift dive in Cozumel, explore many central FL caves, dive the Duane in Key Largo, the Pompano wrecks, the U-85 in the OBX and dive with the seals in the Kelp Forest at Point Lobos and Monterey Bay area. Over the summer, I spent many weekends at the local quarries Dutch Spring and Millbrook teaching OW, AOW and rescue students and managed to train enough students to get my PADI MSDT rating. In many ways, I’m glad that Fall has arrived. I can now relax and focus on my personal training and skills. I’ll be visiting Cozumel and the Riviera Maya at the end of the month relaxing and fun diving with my wife. When I return, I’ll start working on my trimix and rebreather training. If all goes as planned, by next Fall I’ll be happy to report my 500th dive and completion of my tech training. 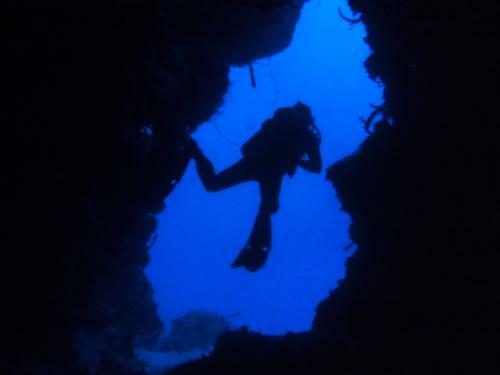 Scariest Diving Moments: What Happened and How Did You Overcome? What happened to the DiveBuddy.com Facebook page? What happened to the wreck? North Carolina..